Hi guys! 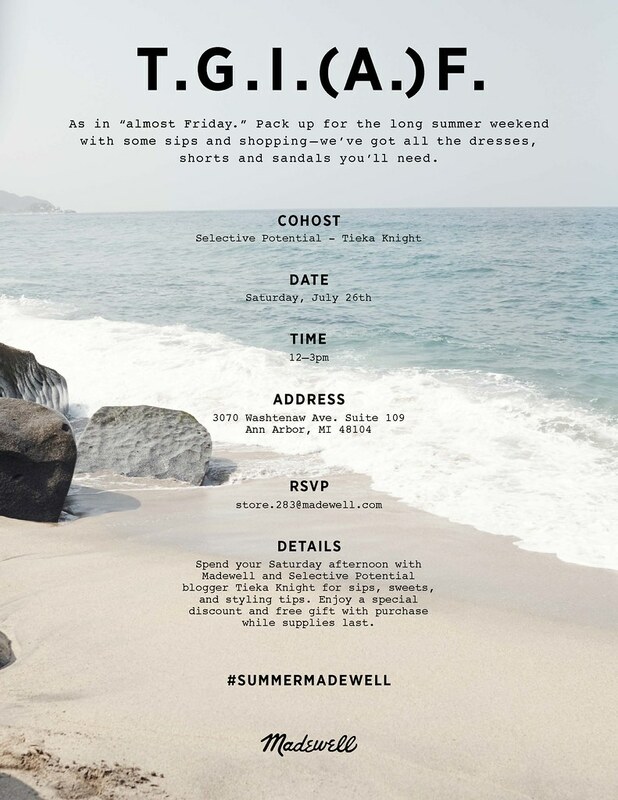 Just dropping in quick to invite my Michigan readers to a fun Madewell event this Saturday, July 26th, in Ann Arbor, Michigan. We'll be hanging out Saturday afternoon for sips, sweets, and styling tips from 12-3pm. There will be a special discount and free gift with purchase (while supplies last). I'd love to see you there! If you're planning on attending, shoot a quick note to store.283@madewell.com to let them know... and definitely let me know in the comments too!